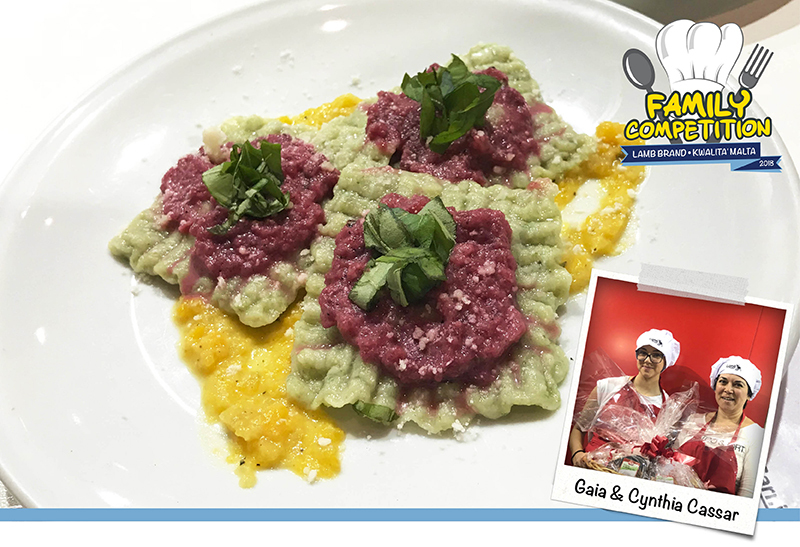 This is an original recipe as prepared by Cynthia & Gaia Cassar during the Family Cooking Competition as held at Kwalita Malta 2018. Cynthia & Gaia were the WINNERS of the competition. 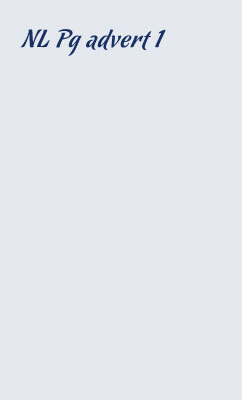 WELL DONE & CONGRATULATIONS! Lamb Brand Garlic Granules, 1 tsp. 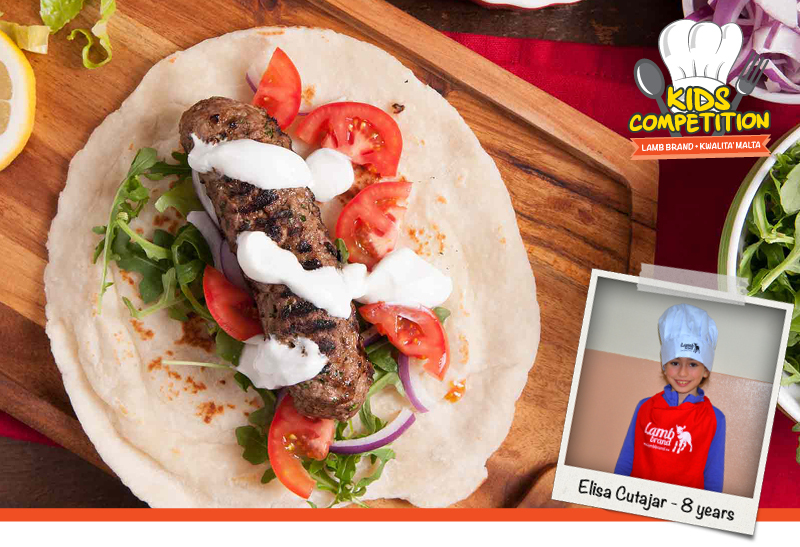 Ricetta ppreparta min Xylon Cassar mis-Senior Group fl-ewwel round waqt il-Lamb Brand Cooking Competition f' Kwalita Malta 2016. 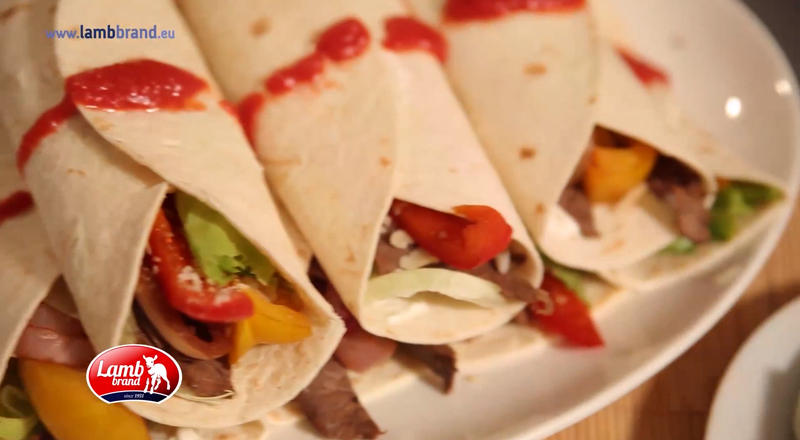 Roll up these tortillas with beef, veggies and some spicy sauce, for a simple meal that will have the family licking their lips. A rabbit recipe with a difference. 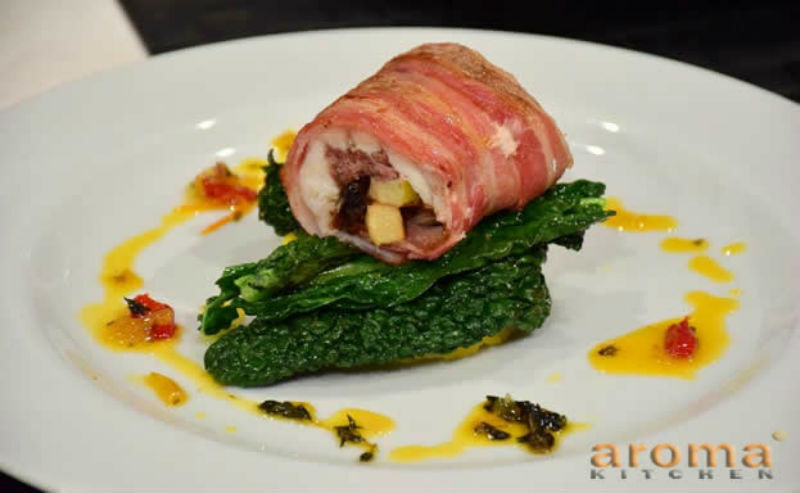 Apple and prune stuffed rabbit loin with a spicy honey and orange sauce. 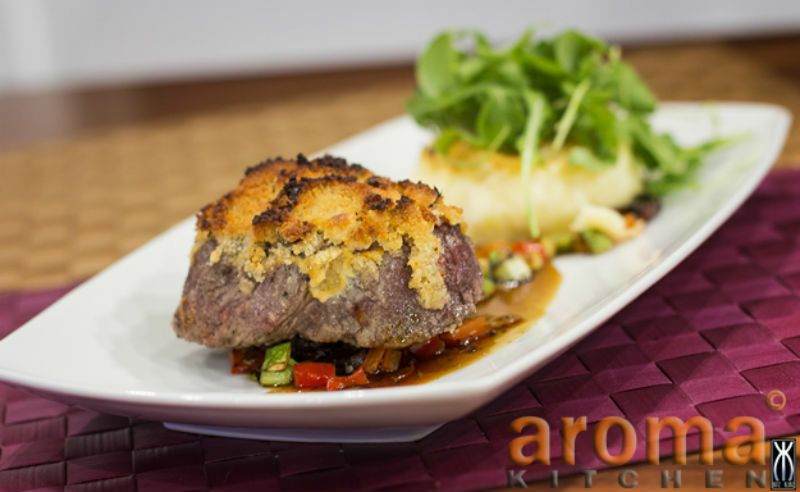 Try out this pork fillet with a hint of cinnamon spice and fruity compote. It's awsome. 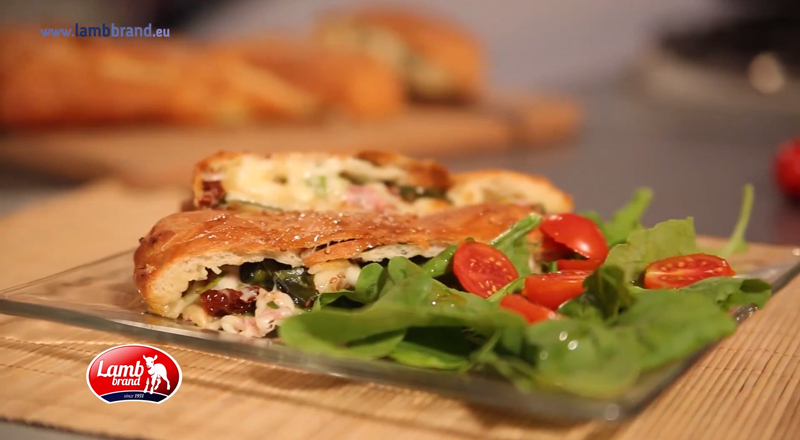 Try out this pizza with a difference. 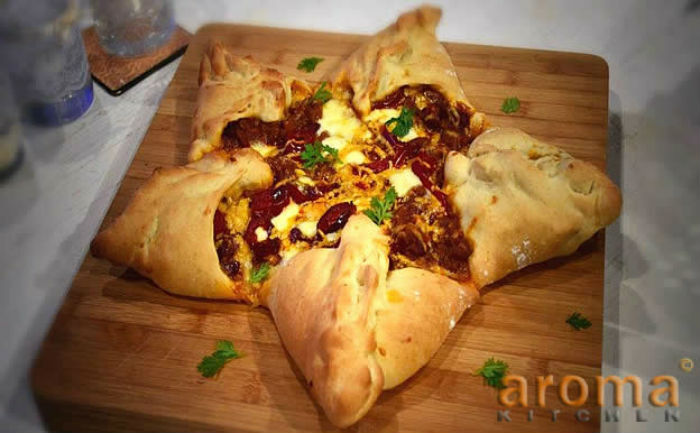 It is very similar to a meat-feast pizza with the minced beef on top, but all the flavour from the chilli con carne. 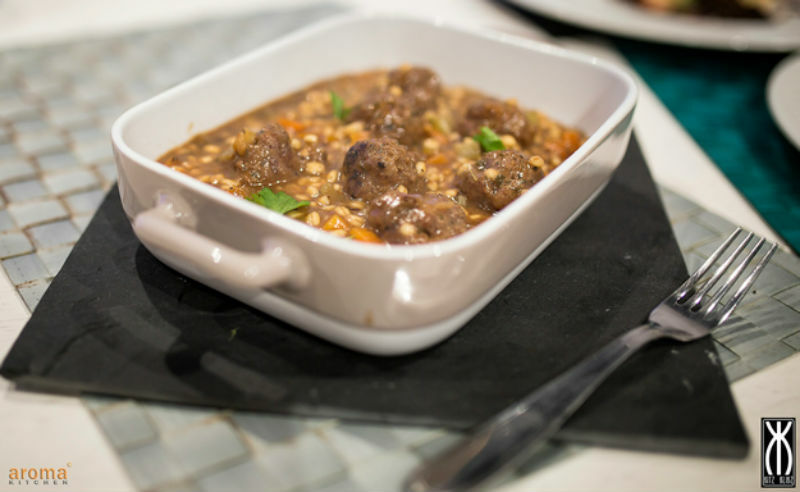 This beautiful bowl of beef and barley would be perfect for your next super-storm, great comfort food for cold weather. You are going to love it because it is so simple and gives consistently good results. This lamb stew recipe is a cosy and delicious winter warmer! 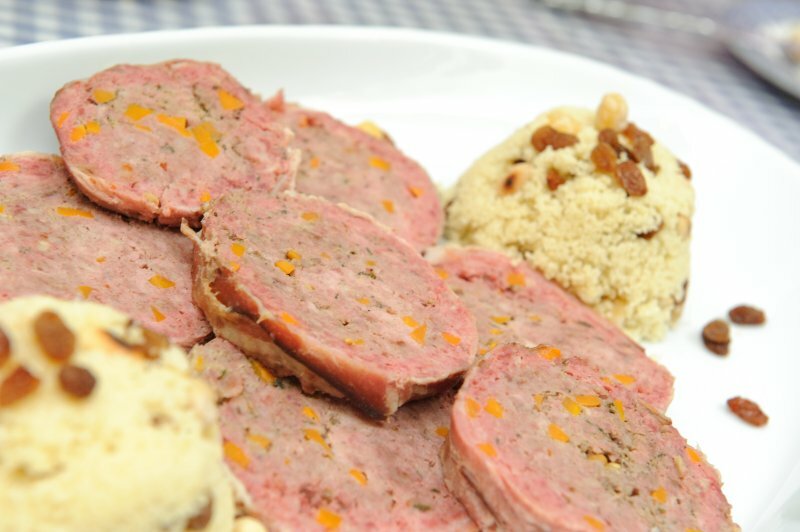 Involtini are stuffed and rolled bundles, traditionally made from slices of meat, fish or vegetables. Fill them out with ham and cheese and cover them in breadcrumbs and you will see that guests will ask you for more! Snails have been considered a luxury food since the old times. 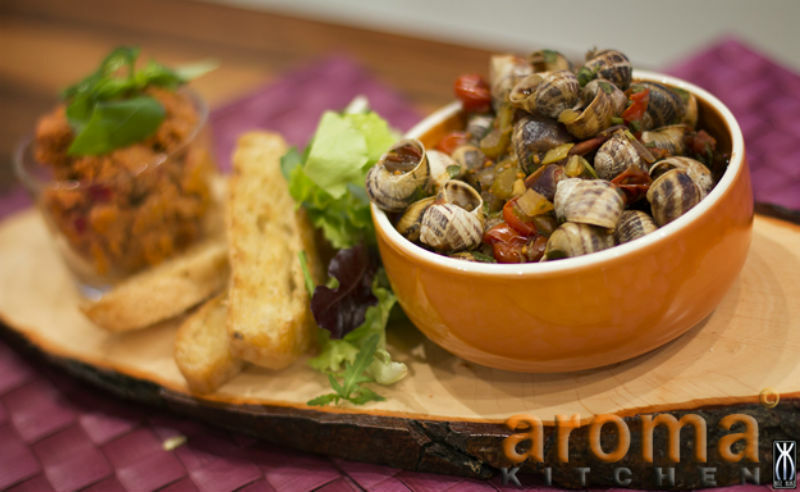 Try out this traditional snail stew recipe. The crispy hazelnut-mustard coating in this recipe makes a nice change from the bacon-wrapped version sold by many stores. 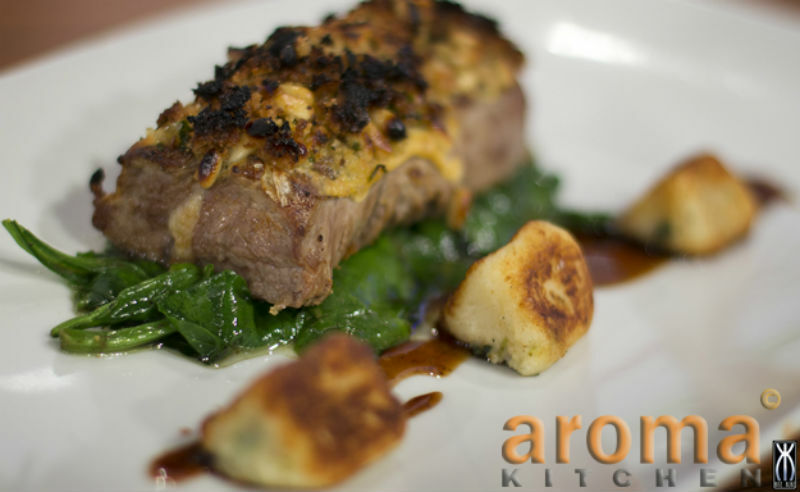 This colourful and light spring lamb and gnocchi recipe is given a strongly seasonal taste by the addition of the wild garlic and pine nut crust. A good marinade will help out virtually any cut of beef. Try out this marinate, you will surely try this again! 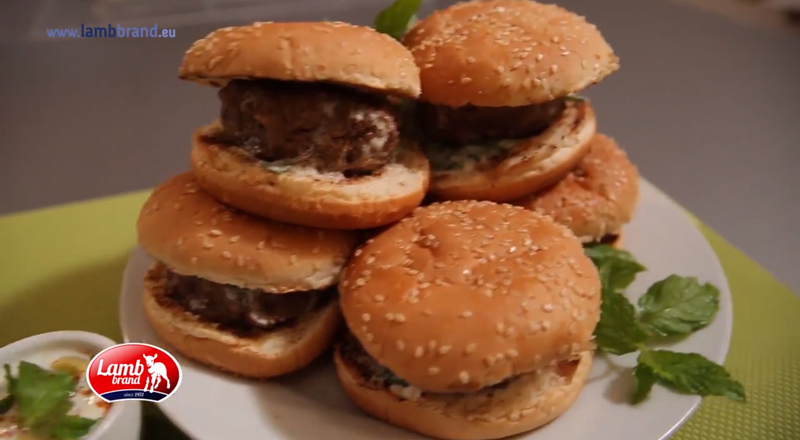 For a simple and tasty meal try these yummy lamb burgers, flavoured with mint and bulgur wheat! A healthy meal, which is packed full of delicious flavours and textures. Bulgur wheat is baked with green pepper, beef mince and aubergines in a well-seasoned tomato sauce. 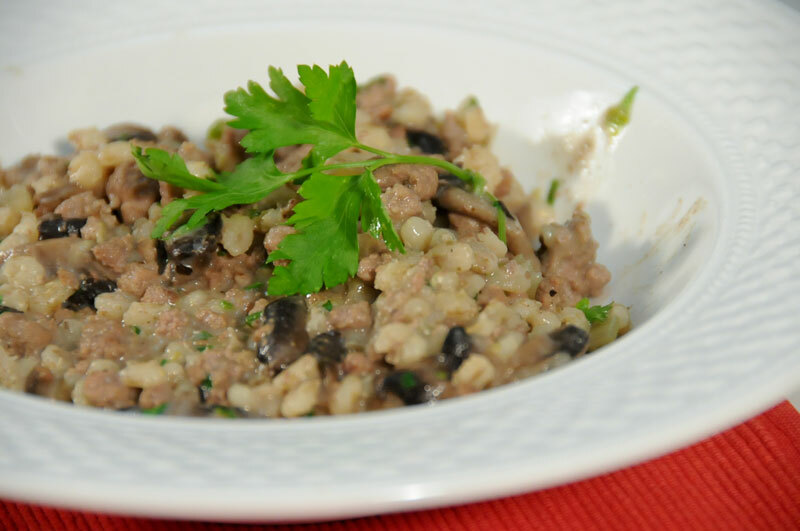 This bulgur risotto is eash to do and tasty too! 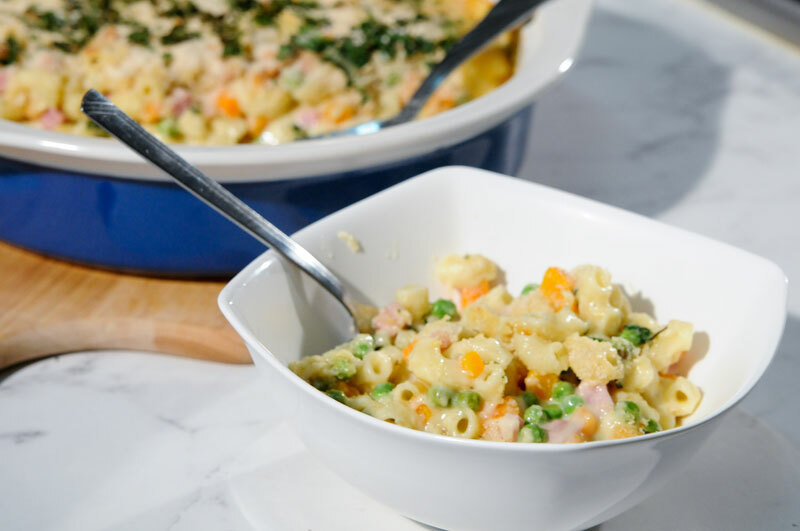 Try out this filling yet so light and tasty meal! 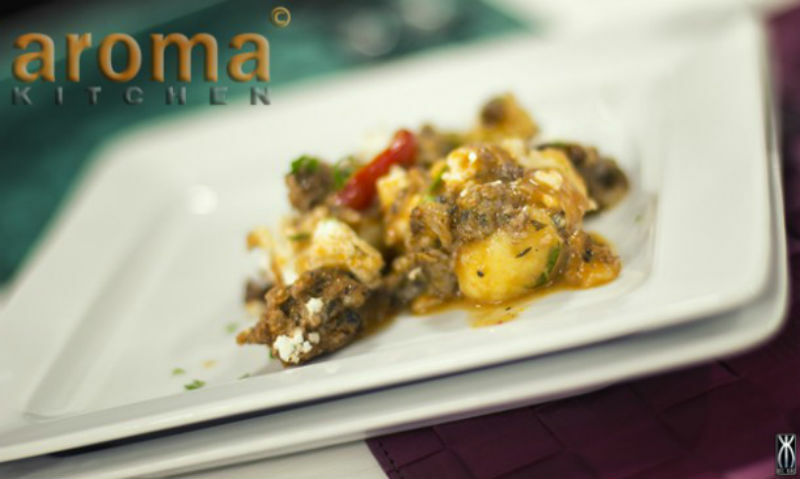 Try out this Lebanese recipe! This Kibbe makes an amazing savoury dish. *prepared as per packet instructions. 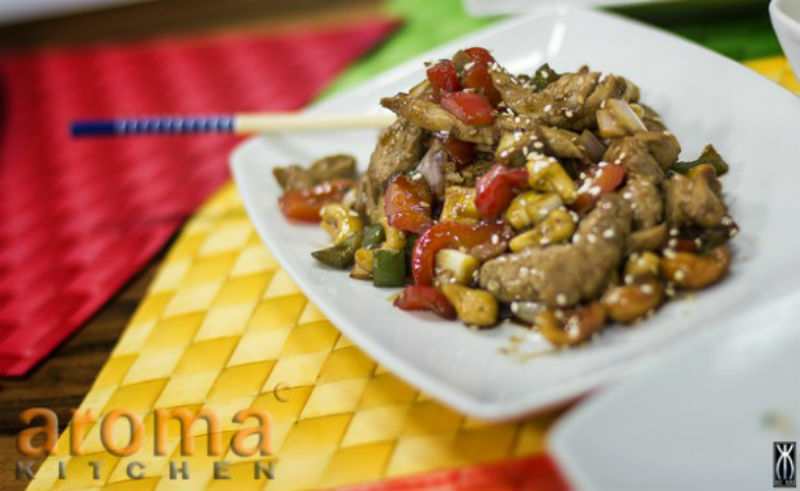 For a satisfying dinner, serve this pork stir-fry loaded with tender pork and crisp veggies with some rice or noodles. This gnocchi bake is surely a must do for all those who are a sausage and goats' cheese lover! This traditional Italian dish is a must do. Giant shells filled with melting mozzarella and minced meat tomato sauce topped with a rich and creamy white sauce. Carbonara is one of the Italians favourite pasta dish were cheese, eggs, bacon and cream join to indulge your taste buds. 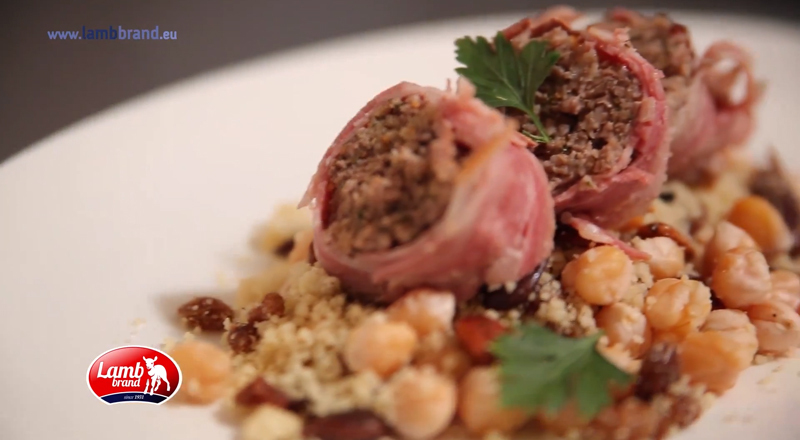 An ideal dish for meat lovers or simply surprise your guests with a meat roulade for dinner. Perfect for Parties or as a snack by the pool! 1.Trim any fat from beef. Cut into 3 pieces. Place beef into a deep dish. 2.Combine juices and soy sauce in a jug. Pour over beef. 3.Refrigerate for at least 2 hours to marinate. 4.Preheat grill for 3 to 5 minutes. 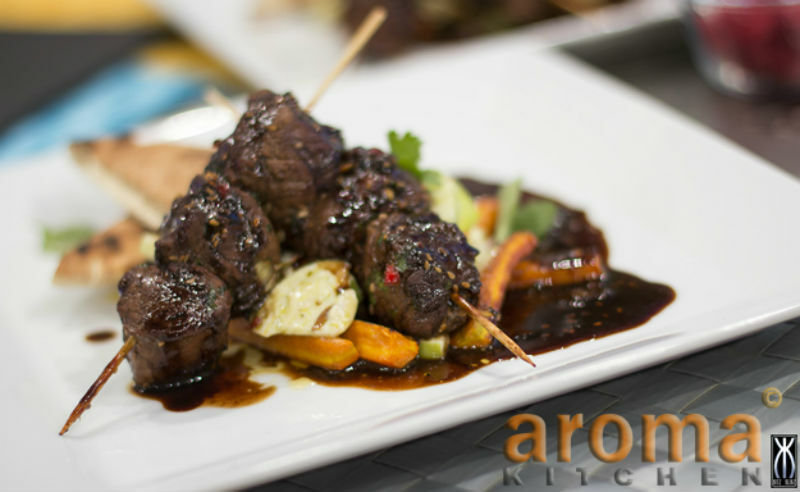 Remove beef from dish, reserving marinade. 5.Place beef onto grill and sprinkle some salt & pepper. Cook for 5 to 8 minutes, with lid closed, or until cooked to your liking. Remove to a plate. Cover with foil. 6.Cook bell pepper and onion on grill for 2 minutes. Pour over a little reserved marinade. Cook a further 1 minute. 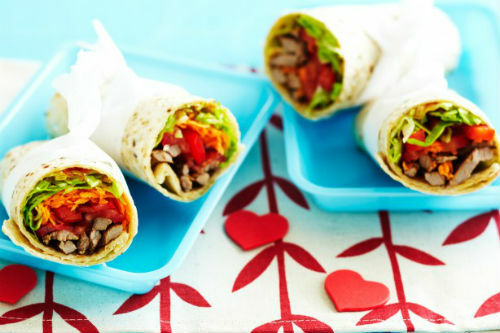 8.Divide beef, vegetables, lettuce, cheese and sour cream between tortillas. Roll up and top with salsa. Try this exquisite juicy pan grilled lamb burgers served with a minty yoghurt dressing. Lamb Brand ground black pepper, 1 tsp. Lamb Brand Cumin seeds, ½ tsp. Lamb Brand ground coriander, ½ tsp. 1.For the dry rub, pound all the ingredients in a pestle and mortar until combined. 2.Divide the minced lamb into 6 pieces. Pat each piece into a ball then squash into a burger, about 1.5cm thick. Pat some of the rub all over the burgers then drizzle over a tiny bit of olive oil. 3.Cook on your barbecue or in a griddle pan for 6 to 7 minutes each side, or until done to your liking. Don't worry if you think they look burnt, that's just a combination of the spices, the caramelising lamb fat and the smoke. 4.When the burgers are nearly ready, toast the buns on the side of the barbecue or griddle. 5.Spoon the yoghurt into, squeeze over a little lemon juice to loosen and drizzle with extra virgin olive oil. 6.To serve, spread some yoghurt on the toasted buns, top with the burgers and squash them into the buns. Add some more yoghurt, then squeeze the remaining lemon juice over a few mint leaves and place on top. 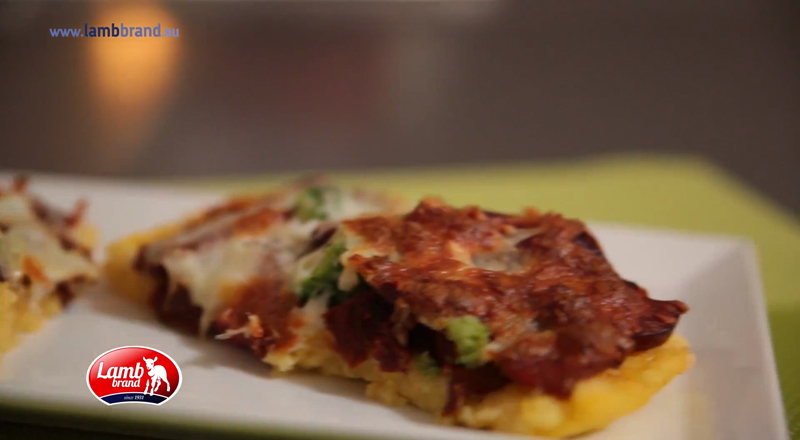 This polenta tart recipe is a great gluten-free option that everyone will enjoy. Choose your own polenta tart ingredients. 2.Prepare the Polenta as per packet instructions. 3.Stir in 1 tbsp. of the Parmesan, then spread the polenta out on a large parchment-lined baking sheet, so that it’s 2-3cm thick. 4.Cook the broccoli in salted water for 2 minutes, drain, and then rinse under cold water. 5.Sprinkle the mozzarella and remaining Parmesan over the polenta, then top with the tomatoes, garlic, broccoli and sausage. Bake for 20 minutes until the sausage is browned and the sides of the polenta crisp. 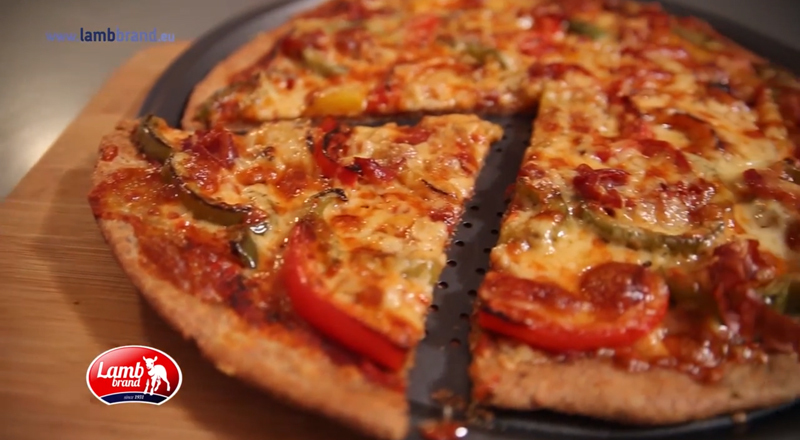 A tasty healthy pizza made from wholemeal flour. Ready in minuets. Sliced cooked meat of your choice (optional) – ex. Chicken breast, minute steak. 1.Ferment the yeast by adding the yeast and sugar to 150ml warm water, then whisking till dissolved. Leave to stand for 10-15 minutes whilst it froths. 2.Add the yeast water mix to the wholemeal flour and herbs, add the olive oil and mix well. Continue to mix and add water till you achieve a stretchy dough consistency, but not sticky. (If it goes sticky add more flour). 3.Set the dough aside in a bowl covered in cling film or a damp towel for about 1 hour. Once the dough has grown to roughly twice its original size it is ready for kneading. 4.Knead or roll the dough to the correct shape/size you require, place on to a lightly oiled baking tray / pizza tray (by oiling the tray the pizza won’t stick). 5.Preheat the oven to 190°C. 6.Prepare your toppings – grill the meat and the vegetables or even stir fry. 7.Mix the Tomato puree with the herbs, then spread the mixture over the base. 8.Lay out the vegetable/meat toppings on the pizza. Then layer the mozzarella and the cheddar on top. 9.Place in the oven for 20-30 minutes or until golden. 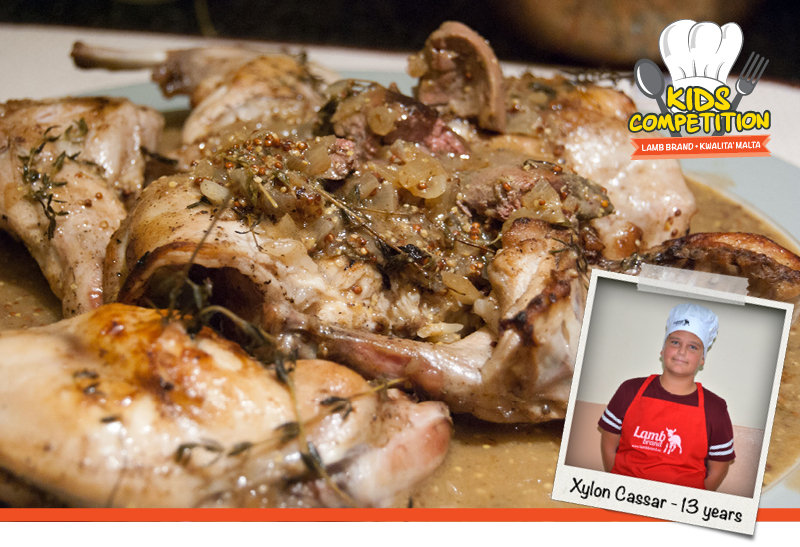 This Rabbit dish originates from Peru and uses roasted ground peanuts. 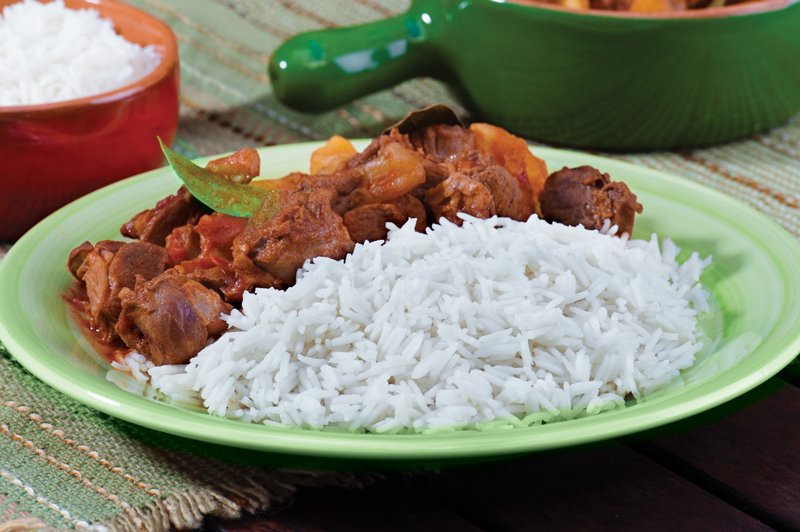 Serve on a bed of white rice to really bring out the flavour. If you’re tired of doing the same usual soups and would like to try doing a new one this recipe is the ideal one for you. 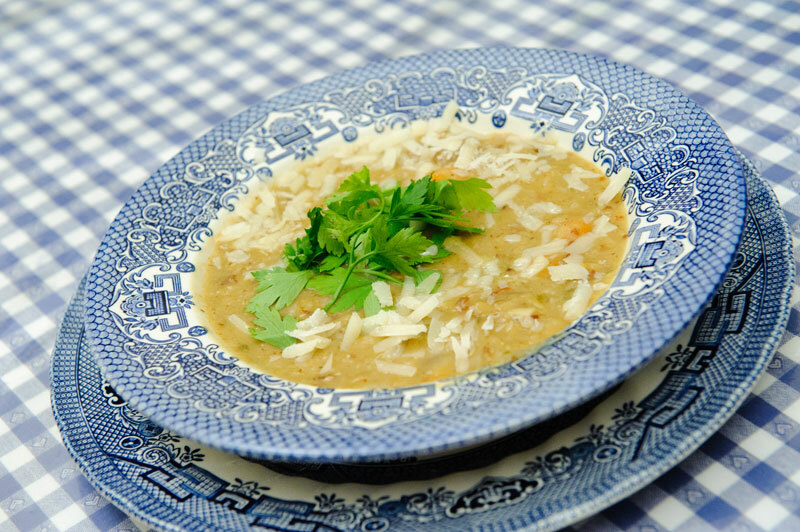 Full of tasteful ingredients and high in protein this soup is great as a starter or for a light meal. This worldwide famous dish is one of those meals that can be served in many different ways while still containing a symphony of delicious flavors. 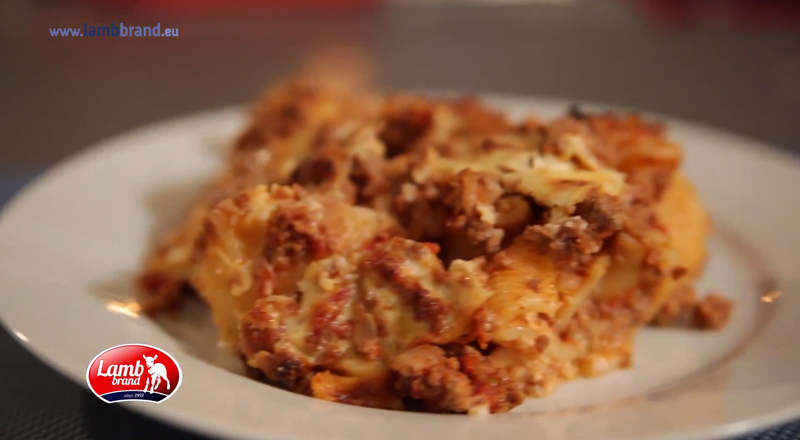 Easy to make and economical this recipe would surely be loved by the whole family. 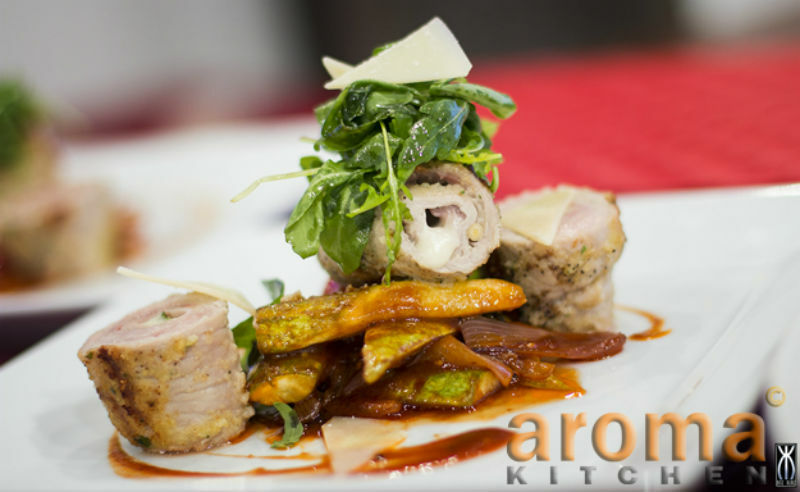 This stuffed pork tenderloin is a recipe that will surely impress your guests, and it is quite a simple and easy to prepare recipe. 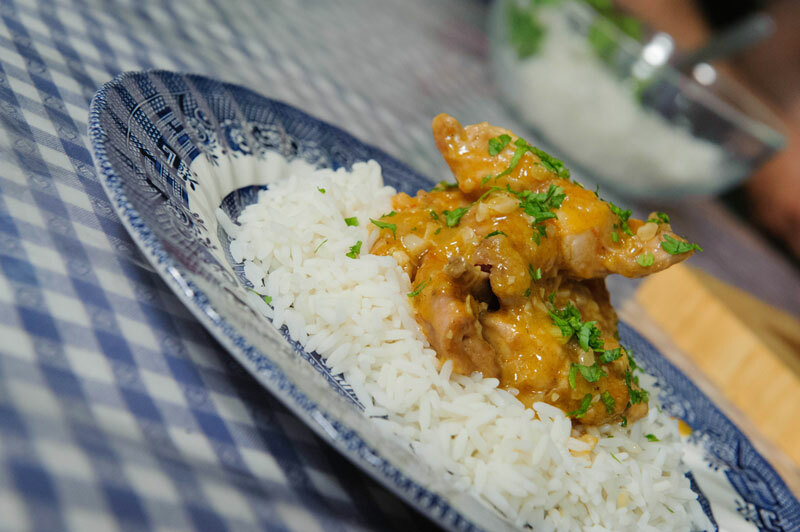 While this recipe can be served in various ways it is surely ideal for the cooler months. 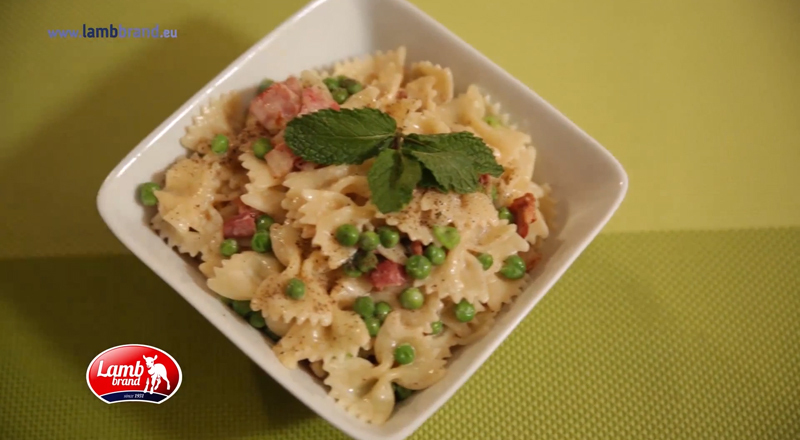 This famous italian recipe is not difficult to make and is a wholesome meal. 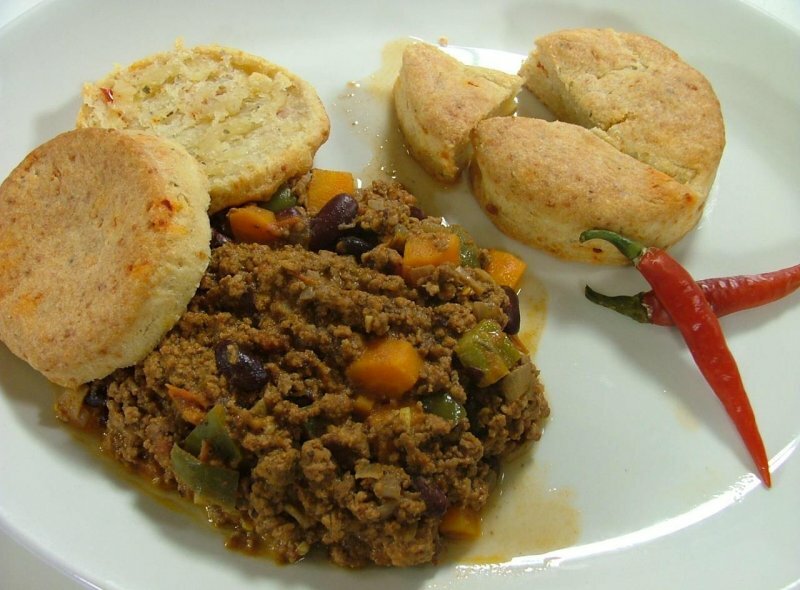 You can serve in various ways such as with bread, pita-bread or in this case with shortcakes. Pizza is one of the most popular meals ever since it was invented. This recipe brings you the loved by all meal with a different finishing touch. Ideal as a fun meal for kids and as a party appetiser. Pizza Dough: Sift mixture into a bowl and add oil and water. Work dough with your hands until a smooth dough is obtained. Shape into a ball and leave to rest for 10 minutes in a warm area, covered with a table cloth. Roll out on a floured working top, leaving it approximately 7mm thick then put in a greased rectangular shape pan and leave to rest in a warm place for another 20 minutes. Making Pizza Pin Wheels: Top the dough, starting with the whole fresh basil leaves, leaving a border all around, then place the shredded mozzarella and cheddar cheese and continue layering the rest of the ingredients. Roll dough with topping into a sausage shape. Brush with some olive oil all around, sprinkle the cooking salt and sesame seeds. Bake in a 220°C preheated oven for 15 minutes. Slice into 2”/5cm thick and serve. Everyone loves a fresh plate of pasta, and this recipe brings you one of the Italian Classics right in your kitchen. 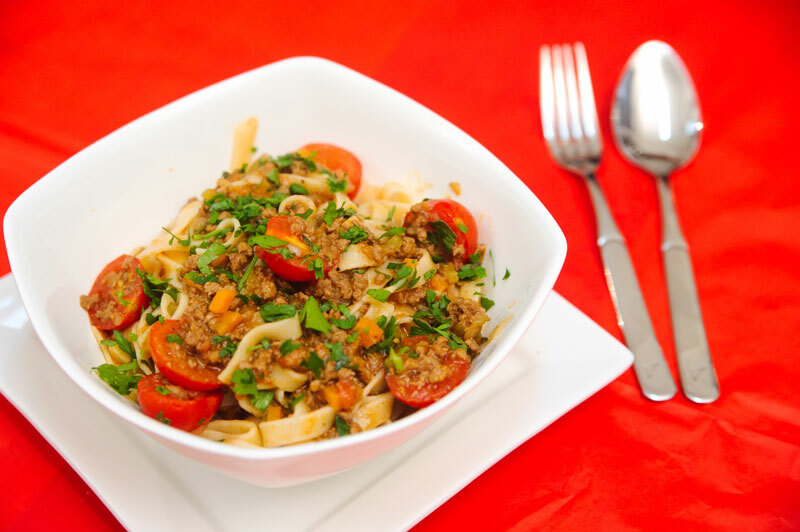 Portions can be adjusted to serve as starter or main course, however since the pasta sauce includes beef, this particular recipe is filling as a meal on its own. Pork is one of the best meats you could have with stew as it easily picks up the flavour of the other ingredients; served with bread this recipe makes up a hearty meal ideal for the cooler months. This recipe is sure to cater for anyone’s taste, it is ideal for stuffing any type of meat, however if you prefer it can also be used for poultry. Should you require a vegetarian variation you can stuff marrows or bell peppers. 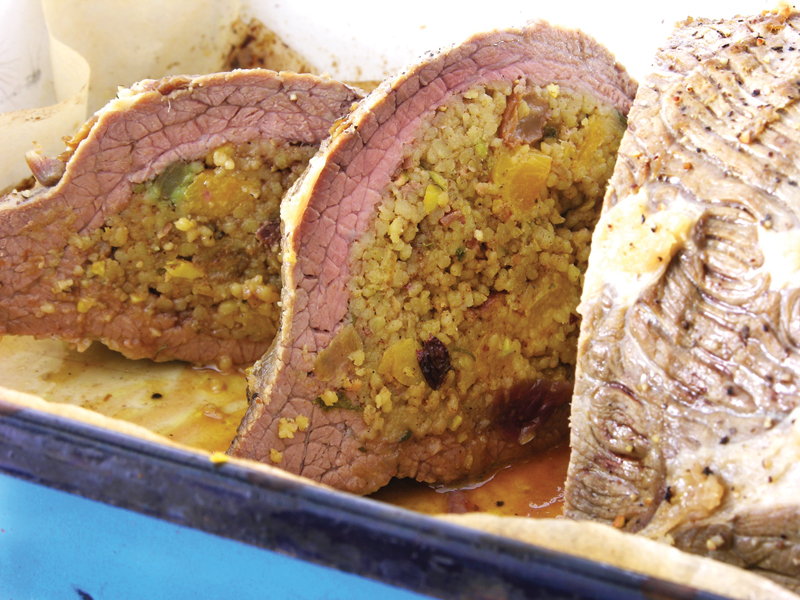 In this particular recipe we stuffed a beef skirt. Serves as filling of a 1.5kg Beef Skirt or Chicken or 6 Marrows or Large Bell Peppers. 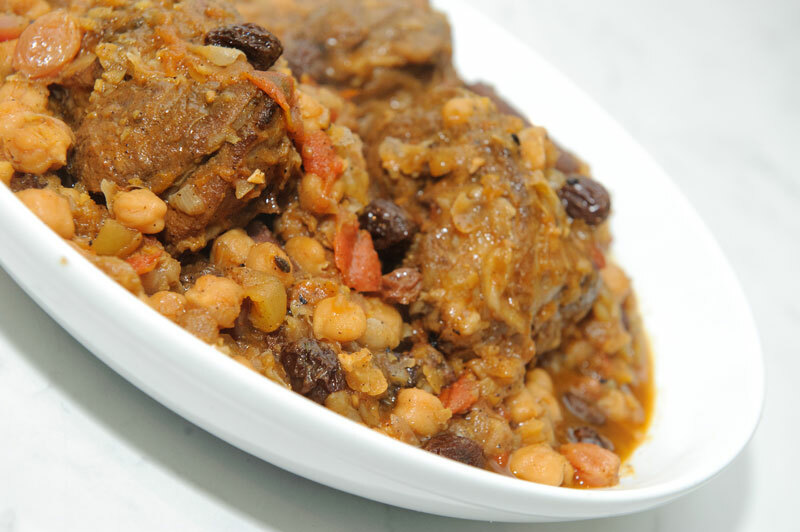 This traditional recipe is very popular because of its particular taste. It does take a lot of work, especially if you decide to do the dough from scratch, however the result speaks for itself. It is ideal when you want to prepare food ahead, it can be reheated and served as a meal or smaller portions as an appetiser during a party. 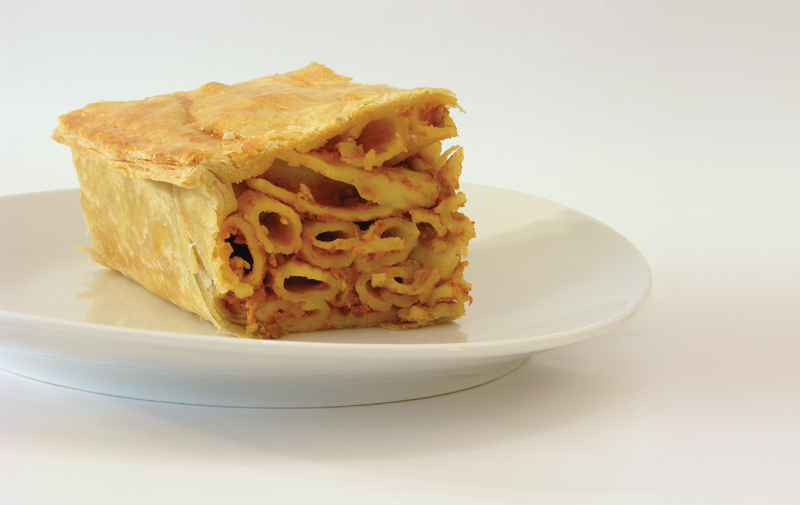 It can also be ideal as a meal to take with you on a picnic or a day by the beach. This easy to do and appetising recipe is the ideal meal for Easter or any other holiday, serve with some side salad and potato croquettes. (Recipes of which can be found in the Soups, Salads & Sides category). This is a Moroccan inspired recipe. 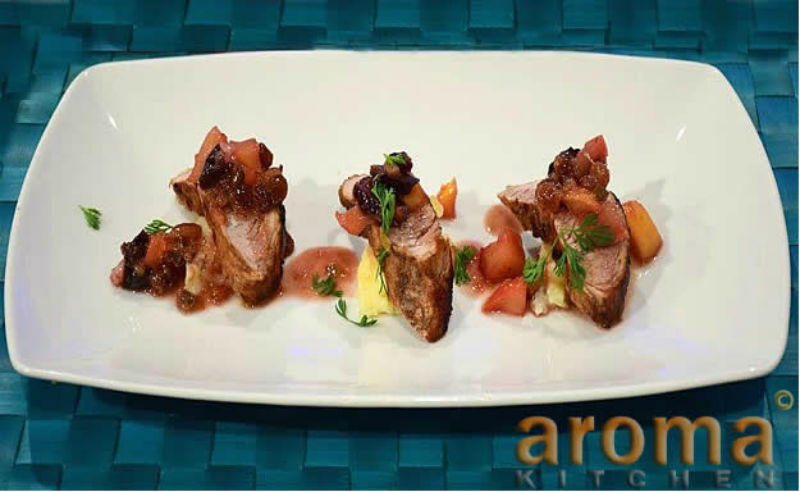 The use of fruit brightens up the rich and heavy flavours of the lamb. Although this dish does require some work, with so many ingredients, it is all very easy resulting in a fine quality dish.